Yep, it’s that time of year again… time for me to get my semi-annual (more or less) cleanse/detox. I just did some major closet and fridge spring cleaning and now it’s time to focus inward for a couple weeks. And just like last time, I’ll be posting some detox-friendly recipes rather than taking a vacation from the blog. Cleanse or not, a girl’s gotta eat… or at least drink. Over the next couple weeks you’ll find some of my favorite healthy juices, smoothies, soups, meals, salads and, yes, even desserts. 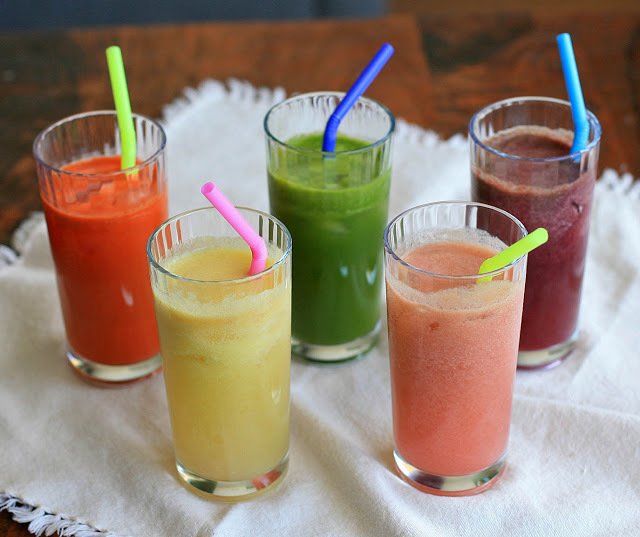 To get you started, here’s some of my cleanse/detox-friendly recipes from the archives.